Just for fun: The Airope from Power Systems is a pair of solid rubber weighted ropes with padded handles, about 20” from end to end (including the handle), that involves the same upper body roping motion as traditional jumproping. You may question the point of buying a jump rope that has no rope, but consider the benefits of use in low-ceilinged rooms, in small studio spaces, or for those of us who just can’t seem to stay untangled from a traditional rope. There are other less expensive versions on the market with digital counters, but they may not be up to the heavy use of a group class. Tomorrow we’ll see what PurMotion is up to! BOSU says tongue-in-cheek that if the dome of your BOSU Balance Trainer is purple, you are the proud owner of a collector’s item—and that it is time to upgrade to the new Pro Balance Trainer. 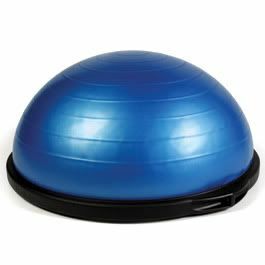 (Blue dome owners, that may go for you, too, if your BOSU gets heavy use!) Common signs of excessive wear include constant loss of air, misshapen appearance, or loose or missing platform feet on models that have them. 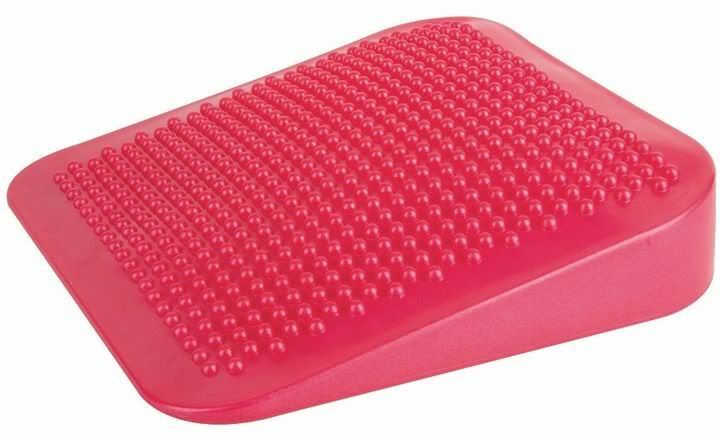 The new Pro Balance Trainer dome is reinforced with an added 1.5 pounds of material and has a glossy finish, which should make it withstand more use and look newer longer. 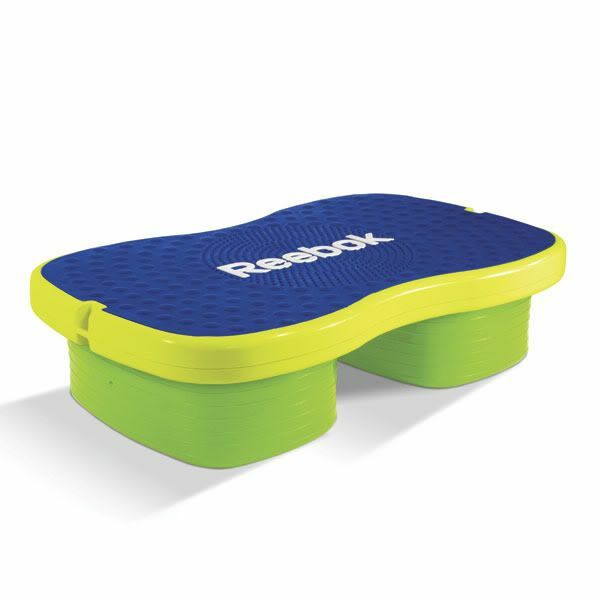 The non-skid platform provides great traction without rubberized feet and is non-marking. 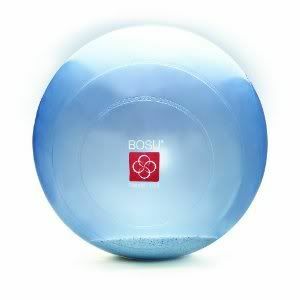 With average use, BOSU predicts that your Balance Trainer should last 3 – 4 years. Lift, shift & shake: The BOSU ballast ball has a lot of potential applications in a club setting. Loose filling inside the ball adds several pounds of weight and provides audible feedback and dynamic resistance while in motion. When at rest on the floor, the weighting keeps the ball from rolling away. For beginning users, less core strength is needed for many exercises commonly performed seated or lying on the ball, so it can provide a nice first step before progressing to a traditional stability ball. For more advanced users, an expanded repertoire of strengthening and core exercises is possible because of the added load and stability on the floor. Tomorrow we’ll go for the burn with Fitness Wholesale! Aeromat has a new, dual surface club mat. One side is smooth and the other side is textured, so one mat suits either preference. It is available in a variety of sizes, including 3/8”, 3/4” and 5/8” thicknesses. 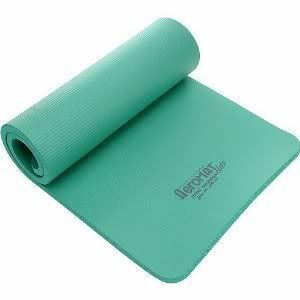 In addition to mats, Aeromat has a full line of balance products. One of the specialty items they offer is an air-filled wedge with a pebble-textured top and smooth bottom. The wedge can be used to ease back pain and reduce the discomfort of prolonged sitting, as well as provide an unstable surface for various standing or seated balance or rehabilitation exercises. Tomorrow we’ll look at Airex’s BeBalanced products. Stay tuned!